As more states expand their marijuana use laws, a new issue is beginning to pop up that impacts gun owners. On a federal firearms background check form, Section 11 E, which was revised on January 16, asks if a person is an unlawful user of marijuana, or any other depressant, stimulant, narcotic drug, or other controlled substance. Underneath that, in bold letters, it clarifies that the use of marijuana remains unlawful under federal law, regardless if the state you live in allows it. Heather Fazio with the Marijuana Policy Project says that provision is a problem. But despite legal challenges, the provision has remained. As recently as last August, the US 9th Circuit Court of Appeals upheld the ban, preventing any user of marijuana from purchasing a firearm from a licensed dealer. Fazio points to marijuana’s classification as a Schedule I drug as a key issue in changing the debate. “We have alcohol and opiates for example that are legal and are far more dangerous in impairing than cannabis is,” Fazio said. A recent response by President Trump’s press secretary Sean Spicer has drawn the ire of marijuana advocates. “When you see something like the opioid addiction crisis blossoming in so many states around this country, the last thing we should be doing is encouraging people to- there is still a federal law that we need to abide by when it comes to recreational marijuana,” Spicer said. This is where these issues — gun rights and marijuana vs. opioid use — intersect. In essence, a person can legally be prescribed – and use – opioids and still purchase a gun from a licensed dealer. But if a person is prescribed medical marijuana in a state that legally allows for it — they cannot. Fazio does not believe any state’s medical laws are in jeopardy, adding Trump’s desire to strengthen states’ rights. 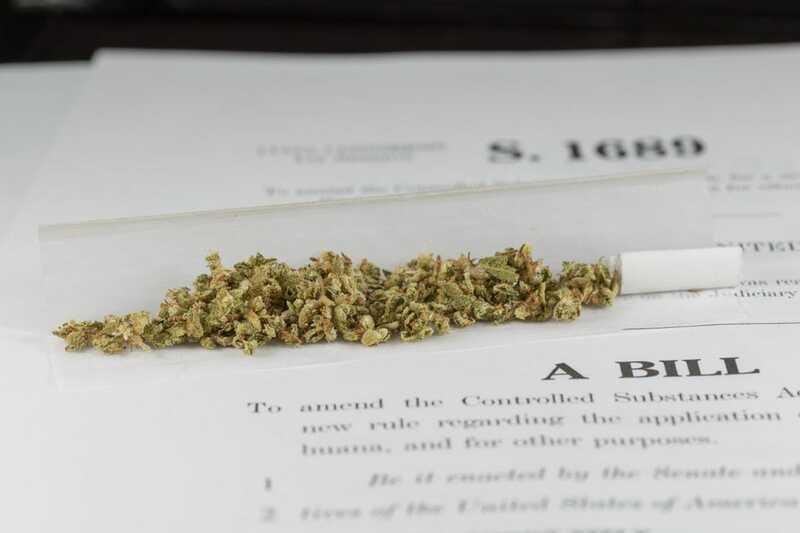 There is a rider in the 2014 appropriations bill that stated the Department of Justice would not be funded to go after users of legally prescribed medical marijuana. While Spicer acknowledged the President’s understanding of medical marijuana benefits, he added there will be greater federal enforcement of recreational marijuana laws.